The British Virgin Islands–often abbreviated as BVI–islands and smaller islets are located in the northern portion of Lesser Antilles. 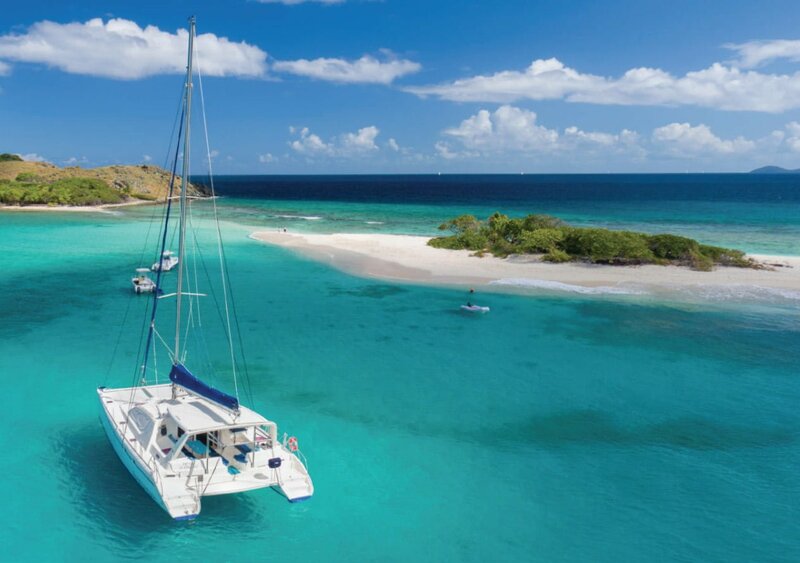 Located in the famous Caribbean Sea, the British Virgin Islands are a true paradise, and a dream destination for sailing. 60 islands and smaller islets make up to British Virgin Islands. The largest and most well known of the islands are Tortola, Anegada, Jost Van Dyke and Virgin Gorda. 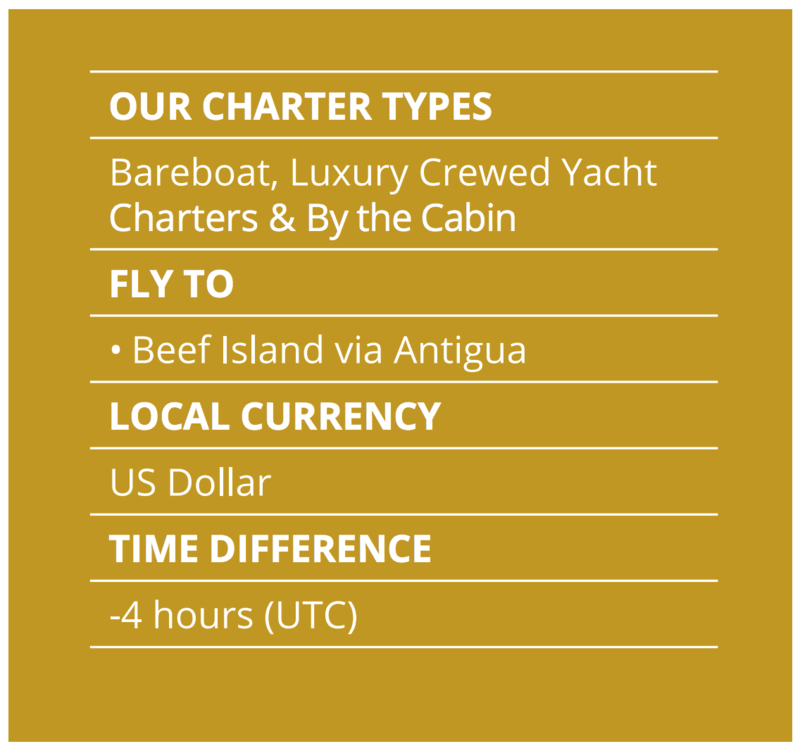 Our Dream Yacht Charter base is situated on Tortola at Hodges Creek Marina. This convenient location will be your starting point for an unforgettable Caribbean vacation. As you set sail, you’ll find that the islands offer the ideal conditions for sailing your own chartered yacht. The numerous islands sprinkled throughout the water are just the right distance apart, allowing for easy trips between them, and the sea has warm, consistent trade winds, so handling your boat is a breeze. As you travel, you’ll also be delighted by the easy, safe moorings and anchorages for your yacht, found on the majority of islands. The British Virgin Islands are well-known in pirate tales, and were made famous in the adventure novels of Robert Louis Stevenson. While you won’t see any pirates on your yacht charter holiday here in BVI, you will discover that the setting is absolutely perfect. The islands are filled with soft, white sand shorelines, ideal for a morning stroll or a day lying in the bright Caribbean sunshine. Leave the beaches and dive into the aquamarine ocean waters for some of the best snorkelling in the world and come face to face with droves of colorful tropical fish. In the evenings, relax on the deck of your hired yacht and gaze at the sparkling stars with your loved ones by your side. If this sounds like paradise to you, you’ll see why thousands of tourists flock to the British Virgin Islands each and every year. Taking your next holiday in the British Virgin Islands? You can simplify the check-out procedure by completing a pre-qualifying chart briefing. 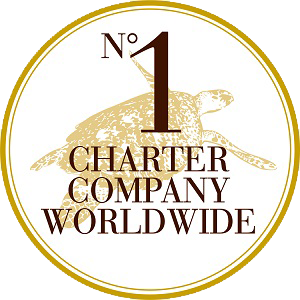 Take the NauticEd BVI Fast Check Out Chart Briefing course online, pass the test and present the certificate of completion to our BVI team upon arrival. This step will help us get you out onto the water as quickly as possible. You can select from two options for chart briefing: 1. Take the BVI Fast Checkout Chart Briefing Course and test online at NauticEd 2. 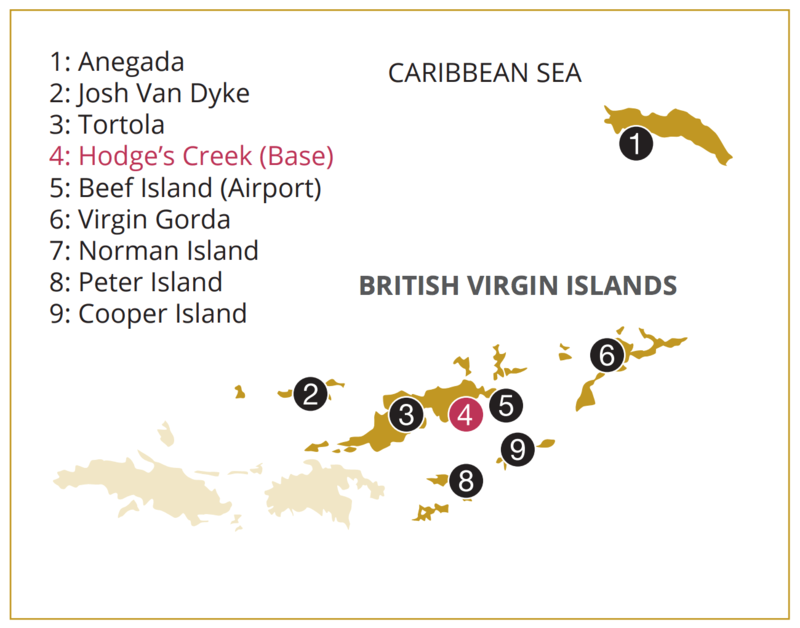 Download the British Virgin Islands iPad App from the Apple iTunes store.